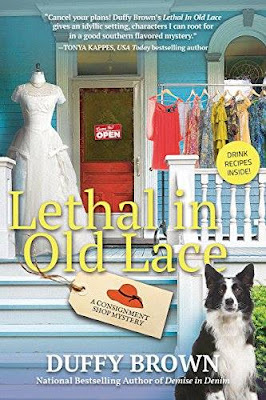 Well my friends, and authors alike Duffy Brown is showing her cover of Lethal and Old Lace which is being published through Crooked Lane Books. I think we are all missing Reagan and Walker Boone. After watching Reagan solve the crime that Walker Boone in hiding. Can't wait to see what is next for the couple. As for Duffy Brown she is working on her The Cycle Path mystery which hopefully we will hear more about when it's finished. What I have learned from Ms. Brown is that the next book will be called Tandem Demise and it should be out in January when I know more I will share it here first! 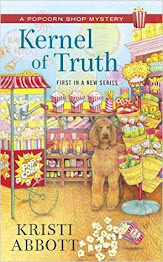 I love Duffy's books as well as her cover picture they are fabulous looking. I feel like when I'm reading her books I'm right along with her characters trying to figure out what is going on! So here we go with the cover reveal. This book is coming out March 13, 2018! Mark your calendars so you can get your copy! Reagan Summerside returns in national bestselling author Duffy Brown’s fifth Consignment Shop mystery, now for the first time in hardcover. There are two social functions in Savannah guaranteed to get people talking: weddings and funerals. And just as consignment shop owner Reagan Summerside agrees to marry the hunky Walker Boone, her neighbors, sisters Annie Fritz and Elsie Abbot, step up their business as professional mourners. They are so successful that the Sleepy Pines Retirement Center has hired them as a part of their retirement package. But the celebration over good business is cut short when the residents at Pines suddenly begin dying at an alarming rate. And the sisters are the first suspects. Reagan has her doubts, however, and begins to look into the strange phenomenon. 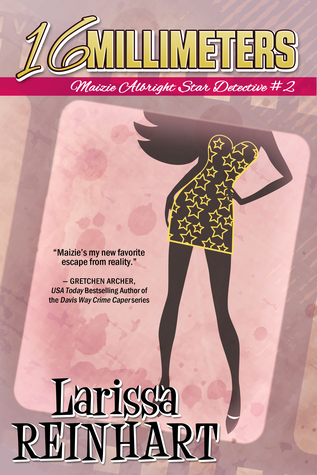 But then something even stranger happens: a body winds up in the sisters’ pink Caddy. The evidence begins to pile up and the suspicious case of Willie Fishbine, who swindled the sisters out of a fortune and coincidentally died prior to the Pines case, is reopened. Not wanting Willie to be buried until they can find the killer responsible for the murders, Reagan must catch the culprit in time to walk down the aisle. Witty, fabulous, and full of charm, Lethal in Old Lace is perfect for fans of Ellery Adams and Jenn McKinlay. What do you think about this series? Are you as excited as I am to read the latest book in this incredible series? As autumn washes over coastal Sea Harbor, Massachusetts, the Seaside Knitters anticipate a relaxing off-season. But when murder shatters the peace, the craftiest bunch in town must unravel a killer s deadly scheme . 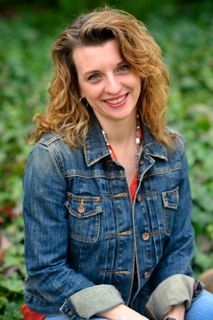 . .
After retrieving fresh lobster nets from a local Laundromat, Cass Halloran rushes to attend a last-minute gathering with her knitting circle. But Cass can t stop worrying about the lonely boy seen hanging around the dryers, and the school uniform he left behind in a hurry. When the ladies return the lost clothing the next day, they find the child and his younger sister alone, seemingly abandoned by their mother . . . 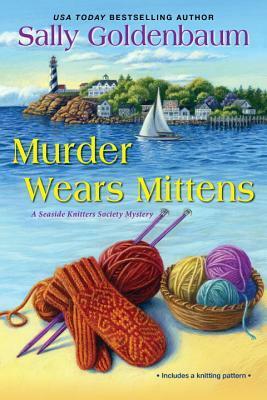 The knitters intend to facilitate a family reunion, not investigate a crime. But the death of Dolores Cardozo, a recluse from the edge of town, throws the group for a loop. Especially when the missing mother and one of their own become tied to the victim s hidden fortune and her murder . . .
Before scandalous secrets break bonds and rumors tear Sea Harbor apart, the Seaside Knitters need to string together the truth about Dolores while preventing a greedy murderer from making another move! This book starts out when Cass Halloran is doing last minute laundry and notice some kids clothes in her dryer at the laundromat. When she tries to confront the kid about a uniform left behind she can't find the kid anywhere. The next day Cass and some of her friends show up at the boy's house to find it's him and his sister his mother is missing. Not long after that we learn that Dolores Cardozo died she was a hermit so to speak. When Kayla Stewart shows up banged up in the head and having memory issues the knitters want to get to the bottom of what is going on. Who killed Dolores and why? Did Kayla have something to do with it? What is she hiding? Add to this the reporter Richie Pisano is hovering all over Kayla and the knitting gals what is her up to and what is his obsession with Kayla Stewart is it more than Kayla really wants. Then there is Izzy's brother Charlie Chambers who seems really attached to Kayla and can't place where he knows her from.somewhere just can't recall where. Can Charlie help Kayla or cause her more pain? I love this series with the fun Friday nights and the various perspectives on the situations. 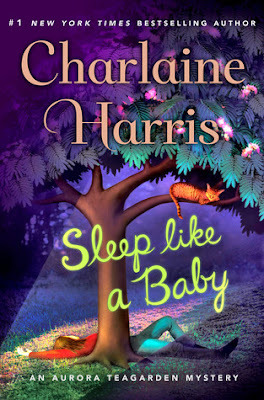 I also loved how Charlie was in this book and we got to see his side of things as he tried to connect with Kayla and we got to see how welcoming the women are which is awesome in my opinion. Anytime a group will accept others they don't know is always a positive. Can't wait to see what is next in this series! Robin and Aurora have finally begun their adventure in parenting. With newborn Sophie proving to be quite a handful, Roe’s mother pays for a partially trained nurse, Virginia Mitchell, to come help the new parents for a few weeks. Virginia proves to be especially helpful when Robin has to leave town for work and Roe is struck with a bad case of the flu. One particularly stormy night, Roe wakes to hear her daughter crying and Virginia nowhere to be found. Roe's brother Philip helps her search the house and they happen upon a body outside… but it isn’t Virginia’s. Now, not only does she have a newborn to care for and a vulnerable new marriage to nurture, Roe also has to contend with a new puzzle -- who is this mystery woman dead in their backyard, and what happened to Virginia? This book starts with Aurora and Robin having their baby Sophie and adjusting to parenting. When Robin goes away to an awards event Aurora is stuck with a flu and Virginia Mitchell is helping Aurora out while Robin is away. 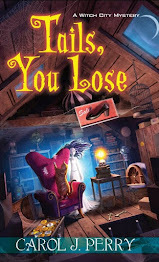 Things go fine at first until one stormy night when Aurora awakes to a crying Sophie and finds that Virginia is missing and someone is dead in her backyard. 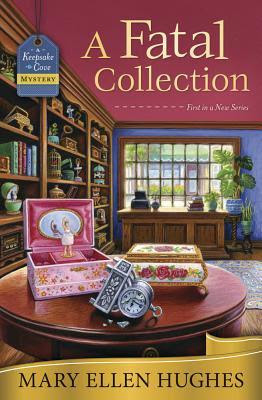 Aurora finds her deep in mystery that the dead woman in her backyard isn't Virginia and with Robin away Aurora wonders who killed the woman and why? I love Aurora and her detective skills. It was especially nice to see her and Robin adjust to parenting and see Roe make some decisions she needed to make in life. Like her job at the library. We also got to watch her stumble around with the murder and missing nanny sitter. What makes Aurora a great character is she is not perfect and has her flaws and in this case a nasty flu and fever which makes her more real. I was definitely surprised by the ending but was glad no one was seriously hurt when the mystery was solved. Aurora and Robin are solid characters that bring such an adventure to the mysteries they are in that you feel yourself pulled in and unable to let go until everything is solved and Robin and Aurora are back to parenting their new baby! Body doubles, dead bodies, and hot bodies abound…Wait, what? Mazie has her work cut out for her when she accepts a job keeping an eye on an old coworker from the Julia Pinkerton days. When Nash Security Solutions gets hired. Nash wants nothing to do with hollyweird. Mazie is sure she can do this but can a girl who has no private investigative skills really protect Cam-Cam? As the bodies turn up Mazie has determined she is no P.I. Will she figure out the murderer in time? Or will she wind up dead as well? This series is great with lots of insight to Hollywood and the movie industry along with watching how Mazie deals with life after Hollywood. You get to see her stumble and fall which I think makes Mazie such a great character. She's not perfect by a long shot. She stumbles and then picks herself up and tries again. She definitely means well just has a lot to learn about the business! 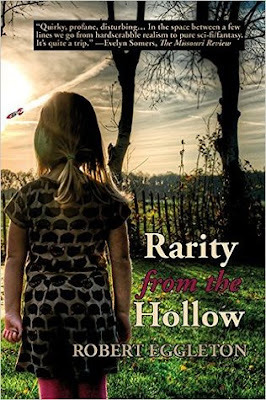 This book follows Ellison Russell who has the bad habit of finding dead bodies. This one starts out as Ellison is going to a party and her daughter is off to the movies with her boyfriend Trip. Not long into the party the ladies nails are flying as there are fights about adultery, This brings up memories of her own husband and his cheating ways. Then Ellison learns the bank is bad trouble and Ellison wants to know why even going so far as to hire Taft to find out what is going on. Which leads them to the bank and Sherman Westcott who has a lot of explaining to do. 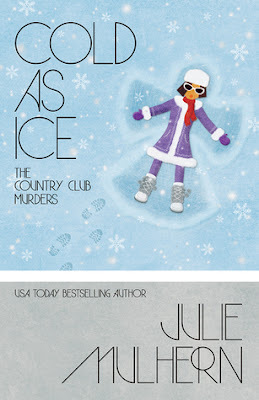 All the while victims of a murder are adding up first Tom's wife winds up dead in a freezer at the country club whose husband was screwing over the bank royally. The bank being Grace's inheritance and Ellison will do whatever she can to protect the bank from loosing money. To a young girl who winds up dead at Tom's mother's apartment complex. Ellison gets dragged into the mess to try to figure out what is going on and who will show up at Thanksgiving. All this while determined that women can survive without men but will it cost her something big? I love this series along with it's 70's references seeing how Ellison will deal with everything she is hit with from her ex-sister-in-law to her teenage daughter and all that entails. You never know with Ellison what she is going to have to deal with and whether she will come out of it unscathed. This one definitely didn't disappoint. I can't wait to see what is next for Ellison, Grace their family and friends! With her divorce underway, her mother-in-law returning to Greece, and the tourists gone, Georgie finally has life under control—and the Bonaparte House to herself. She quickly hires a contractor for some much-needed renovations to reopen in time for a special Greek-style Thanksgiving meal. Georgie is suspicious though when former dishwasher Russ Riley arrives with the construction crew. 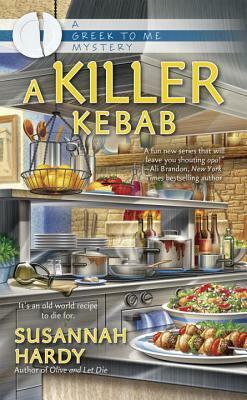 He still has an ax to grind with the Nikolopatos family—but is it sharp enough to kill? This book follows Georgie Nikolopatos whose looking forward to fix somethings at the Bonaparte House while her mother-in-law Sophie is in Greece what Georgie didn't count on was her lawyer winding up skewered to death! Who killed Jim and why? Also Georgie is dealing with a sick mother and her mother's assistant Caitlyn is also ill. This book was different as it didn't have some of the characters in it as much. No Sophie and running around mad at the restaurant. Georgie's ex was minimal at best. Even Georgie's family is very mild in this book. We learned more about other characters. Dolly, Georgie's chef was in this book granted another person sick. But we got to see Dolly at her own place. Also Franco the pizzeria owner was in this book as well as Brenda a local to the area who spends lots of time collecting cans played a more pivotal role to Georgie. Brenda has no qualms about getting dirty with Georgie after seeing what happened to Franco. I love this Greek series it's incredible especially this one that dealt with the receipe Thousand Island Dressing and all the hoopla with it. You never consider where you will be educated about a dressing! Can't wait to see what Ms. Hardy comes up with next! With her sixth novel, award-winning author Sarah Dessen offers up another generous helping of finely crafted storytelling about real teens dealing with real life. In The Truth About Forever, when asked how she is coping with her father's death, invariably seventeen year old Macy Queen's answer is "fine," when nothing could be further from the truth. In actuality, she is drowning in grief while maintaining a flawless façade of good grades and unblemished behavior. Though she feels lost when her boyfriend heads to "Brain Camp" for the summer, she finds herself a job with the quirky Wish Catering crew, and meets "sa-woon"-worthy Wes, whose chaotic lifestyle is in direct opposition to her own. As the two share their stories over the summer, Macy realizes she can no longer keep her feelings on ice. Though it feels like her future ended with her dad's death, Macy's learns that forever is all about beginnings. This book follows Macy Queen whose trying to move on from the death of her father. She finds this difficult as her mother hasn't come to terms with his death either. What adds to it is that her boyfriend Jason is going to brain camp and has Macy working at the library for him. The girls at the library treat Macy like she's an idiot. When Macy comes across Wish Catering Crew whihc add some fun for Macy has hectic as they are there is real bonding going on with them! I liked this book alot it showed how a young girl deals with the death of her father and finding what she likes and doesn't and standing up for what she loves most. Add to that Wes who is very sawoonable but is he interested in Macy or is it just friendship? Sarah has a way of bringing you back to the teen years and in a good way and some situations remind us what we went through as teenagers. 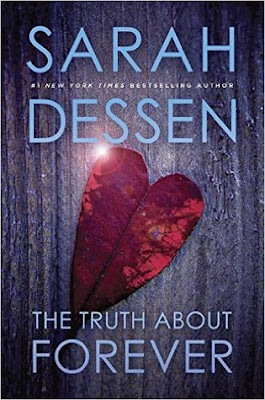 Can't wait to see what is next for Sarah Dessen! In Halo, Georgia, folks know Cherry Tucker as big in mouth, small in stature, and able to sketch a portrait faster than buckshot rips from a ten gauge — but commissions are scarce. 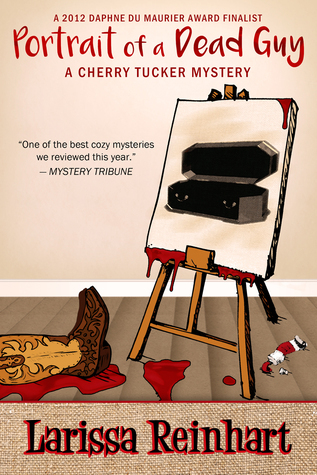 So when the well-heeled Branson family wants to memorialize their murdered son in a coffin portrait, Cherry scrambles to win their patronage from her small town rival. As the clock ticks toward the deadline, Cherry faces more trouble than just a controversial subject. Between ex-boyfriends, her flaky family, an illegal gambling ring, and outwitting a killer on a spree, Cherry finds herself painted into a corner she’ll be lucky to survive. This book follows Cherry Tucker whose trying to make money with her paintings. Of course she never counted on painting someone in the casket and that is just what the Branson family wants. Cherry is also under stiff competition with Shawna Branson who wants Cherry to climb back into the hole she came out of. Cherry isn't going down without a fight. 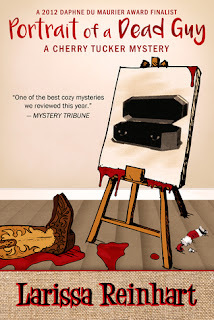 The person she has to paint was murdered and someone seems to have unfinished business with Dustin. Of course Dustin had his dark side and wasn't above getting into trouble but was it enough to kill him? As Cherry works on the painting she didn't count on the yummy Luke Harper coming back to Halo. Cherry has lots of issues with Luke. Can Cherry really put Luke on the back burner? Or is she destined to give into her feelings for him? As Cherry sifts through the possible suspects she knows she has to be turning up the heat on someone but who is the big question. Is it Mr. Max the mysterious history buff who holds poker games? Is it someone at the dealership when Dustin's father worked? Or could it be Luke Harper who was saddled with Dustin when his mother married into the Bransons? Will Cherry figure it out in time or she in over her head? I love love love this series. Cherry is a spunky no nonsense girl who won't go down without a fight. She is also one to speak her mind. Watching as Cherry shows you her life the good and the bad, and watching as she maneuvers around Luke. Cherry makes you feel like you are right there with her traveling the road with her trying to figure out who stole her car, her daddy's gun, and killed Dustin and why! Can't wait to see what is next for this spunky painter who loves her family and her friends and will do what she can to help them!